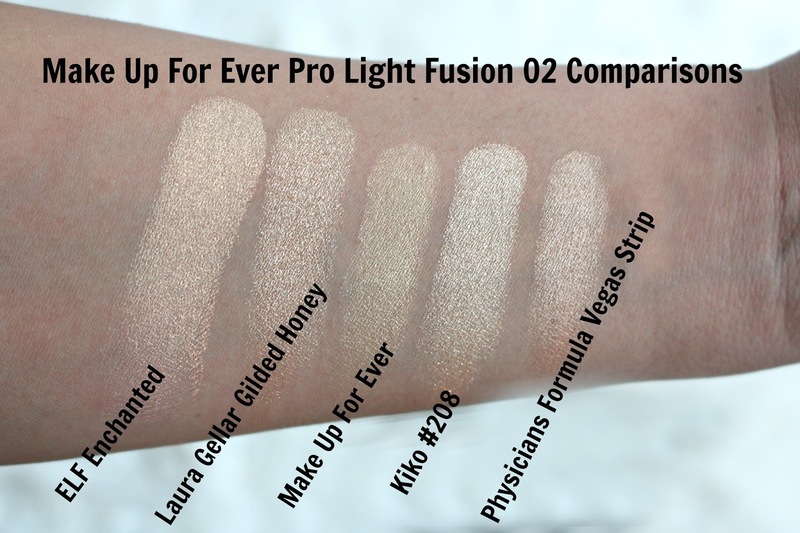 Make Up For Ever recently expanded their Pro Fusion line with a highlighter! 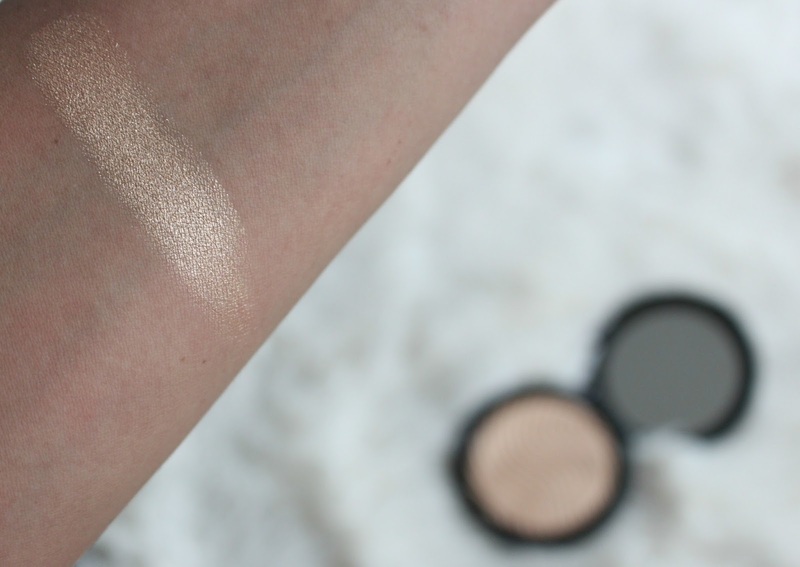 It only makes sense, highlighting, strobing, "glowing to the Gods" is all the rage right now. No complaints here, there is not much more satisfying than applying a highlight and seeing that sheen. I have been waiting for this highlight to come out for a year at least. If you recall the Make Up For Ever Sculpting Duos, this is the highlight but in it's own pan, yahoo! 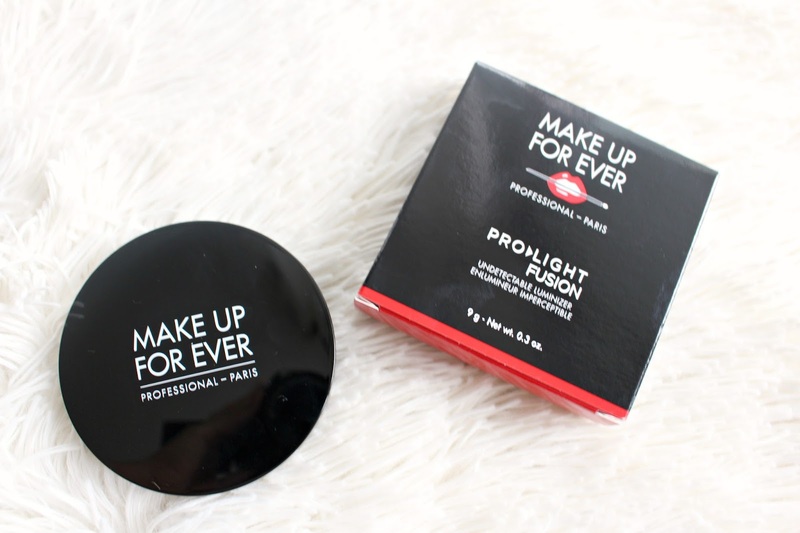 The Make Up For Ever Pro Light Fusion Highlight retails on Sephora Canada for $48.00 CAD and on Sephora USA for $39.00 USD and comes with 11g of product. The price tag may seem up there but for reference in a Becca Shimmering Skin Perfector you recieve about 8g of product for $46.00 CAD. There are 2 shades, 01 which is described as a golden pink recommended for light to medium skin tones and 02 golden which is recommended for medium to deep skin tones. The packaging is sleek and black, which is nice but I wish they had done something similar to the Pro Fusion Bronzer which comes in the same compact with a gorgeous bronze finish. I'm getting nit picky here but let's get real, this highlight is STUNNING. I was first introduced to the Make Up For Ever Pro Fusion line in January with the Pro Fusion Bronzer in 30M Natural Matte Sienna, if you watch my YouTube Channel, you'd know this is a favourite of mine. The Pro Fusion line consists of a gel-powder texture. It is hard to describe but it feels very densely packed, incredibly smooth and with a great sheen. The Pro Fusion Highlighter is also talc free. The Make Up For Ever Pro Light Fusion Highlight is embossed with a wave pattern and because it is so densely packed the design does not disappear easily which I like. Depending on the amount of glow you prefer you can go in quite lightly with a fluffy brush that won't pick up much product or something more dense to really pack on the glow. It can be built up as well. It feels very smooth, with no glitter, just shine. 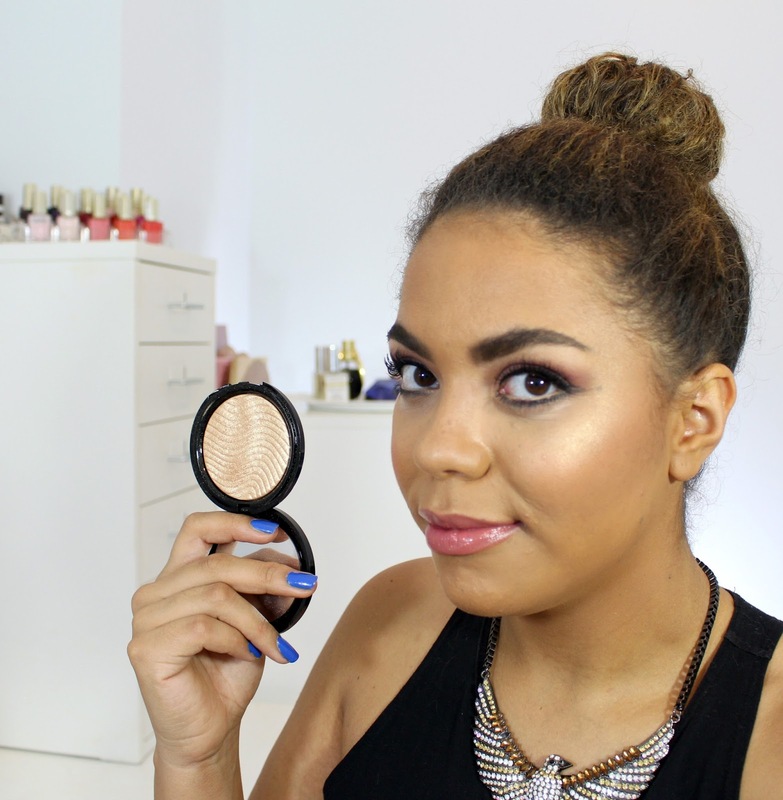 If you'd like to see the highlight in action I am wearing the Make Up For Ever Pro Fusion Highlight 2 Gold in my October Favourites Video. I pulled out some of my golden highlights to see if I could find any similarities. Pictured below are ELF Baked Eyeshadow in Enchanted, Laura Gellar Baked Gelato Swirl Illuminator in Gilded Honey, Kiko Water Shadow in #208 and Physicians Formula Shimmer Strips in Vegas Strip. If you haven't already gathered I absolutely love this highlight. Although the price tag is up there I think you'd have a very hard time running through it and the quality is absolutely amazing. 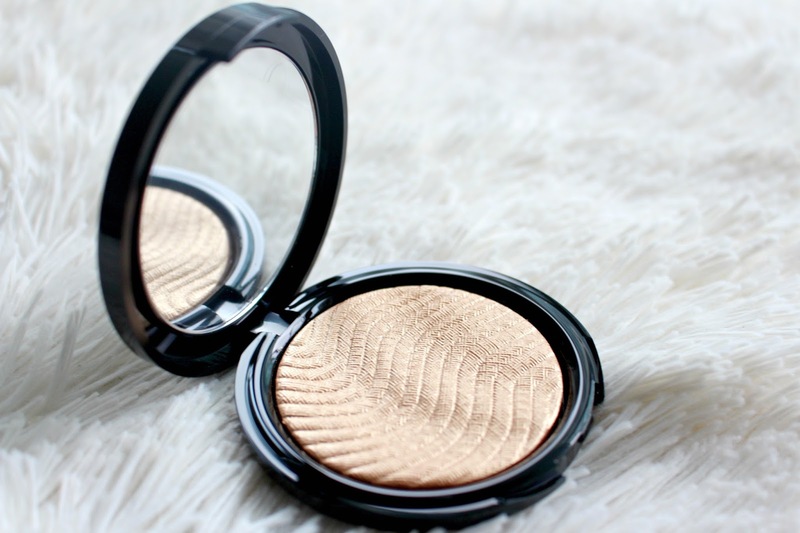 It can be used as a highlight on the face and body and it also makes a gorgeous eyeshadow. My advice would be to pick it up during the Sephora VIB Sale.